While I always try to ‘plan for the worst and hope for the best,’ I expect there are innumerable trials and tribulations on the horizon that I haven’t anticipated. These are a few that leap to mind. Various flowers suffer from pests that limit flower production. For example hibiscus is often plagued by a type of aphid, which are relatively easy to remove with a simple hose and some added finger pressure at the nozzle – aye, there’s the rub. Many of the growers will not have access to running water. Some may have to lug it in from the canals in buckets. 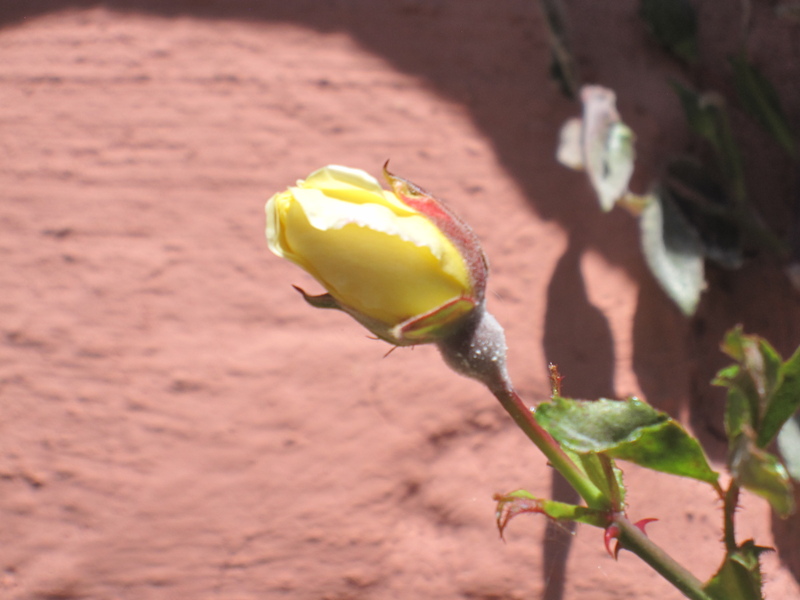 Another example is climbing roses, which are susceptible to oidio (powdery mildew), as are artichokes. Treatment is aggressive pruning or a sulfuric chemical, sold here under the name of topaz. Roses treated with topaz should not be eaten and any flower sprayed with a pesticide should not touch human lips. Even certified organic growers will be tempted to cheat if pruning means a loss of income they were counting on. A ‘no tolerance’ policy is likely the only solution, whereby a grower would instantly lose her certification if caught spraying. As the technical team evolves. 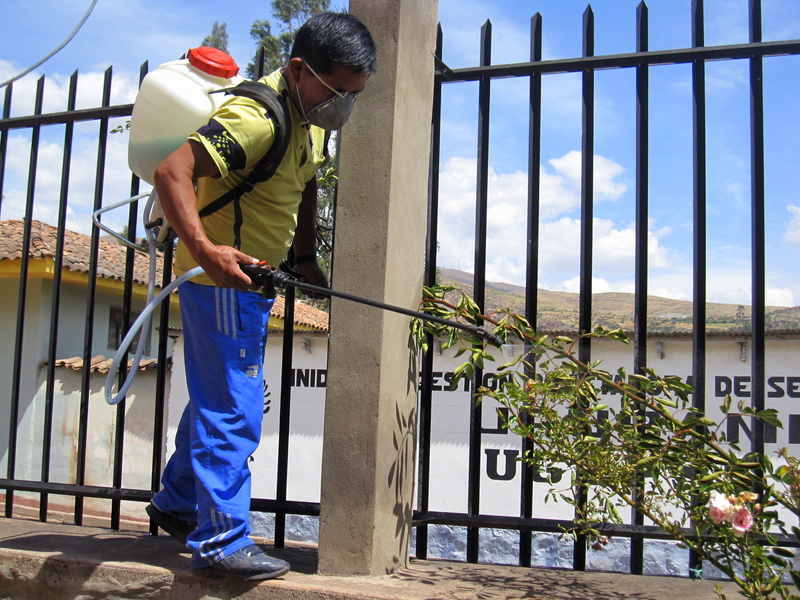 we will develop a list of pests and diseases and their organic solutions as well as a low-cost testing mechanism. While the idea of eating flowers is thousands of years old and is enjoying a renaissance of sorts in modern culinary practice and fine dining establishments all over North America and Europe, it would be easy for a trend to backfire in the Sacred Valley if small restaurants start purchasing blossoms from the market and feeding them to their guests, without knowing their origins. It’s a pretty sure bet that blooms sold as cut flowers have been sprayed with something and likely used chemical fertilizers to promote their growth as well. Restaurants participating in this project should also assist with a broad information campaign to help their clients ensure they are consuming blooms that are certified through the project (precise mechanism to be devised). Having the infrastructure in place before broad launch will help prevent copycats who use pesticides from jumping on the bandwagon, without thought to human health. The last thing this project needs is bad publicity from tourists who become ill by eating pesticide-tainted blooms. Most edible flowers should be picked the day they will be served, at the peak of their blossom, no later. Since the growers will be widespread, it will be difficult to include certain dishes on permanent menus, although they could be incorporated into the daily specials. Also, many uses, such as freezing them and serving in cocktails, do not require a particular flower. Still, they are a delicate commodity and cannot be carried in a manta many kilometers down the mountain trail. In addition, any collection system needs to be environmentally appropriate. Again, these issues will be tackled once the technical team is in place. That’s a start. This section will expand as we learn. Tambo del Inca Luxury Hotel, Urubamba, a Luxury Collection Resort Spa of the Starwood Hotels chain. In January 2012 we will begin communicating with the rest of the Valley’s 5-star hotels and high end restaurants, as well as appropriate community outreach personnel, Peruvian government agencies, donor agencies and their contractors. 500,000 blossoms sold in the Sacred Valley, Cusco and Machu Picchu, grown by 500 organic viveras – increasing family income by $50-$100 per month, $600-$1200 a year. High end book on Sacred Valley edible flowers with recipes and watercolor prints – 5000 copies first run. Proceeds to partner NGO. 10 million blossoms sold in Peru and abroad (New York, Chicago, Toronto) by 10,000 women growers in the Sacred Valley and mountain selva. 30 million+ blossoms sold internationally in a sustainable business, creating income of $300 a month or more for women – especially those unable to work outside the home. Edible flowers from the Sacred Valley are a popular and common element in restaurant meals mid-high end throughout North America. Copycats in all developing countries, where women benefit and the countryside is beautified by introducing a new demand for edible blooms.